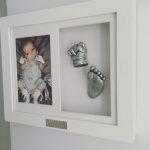 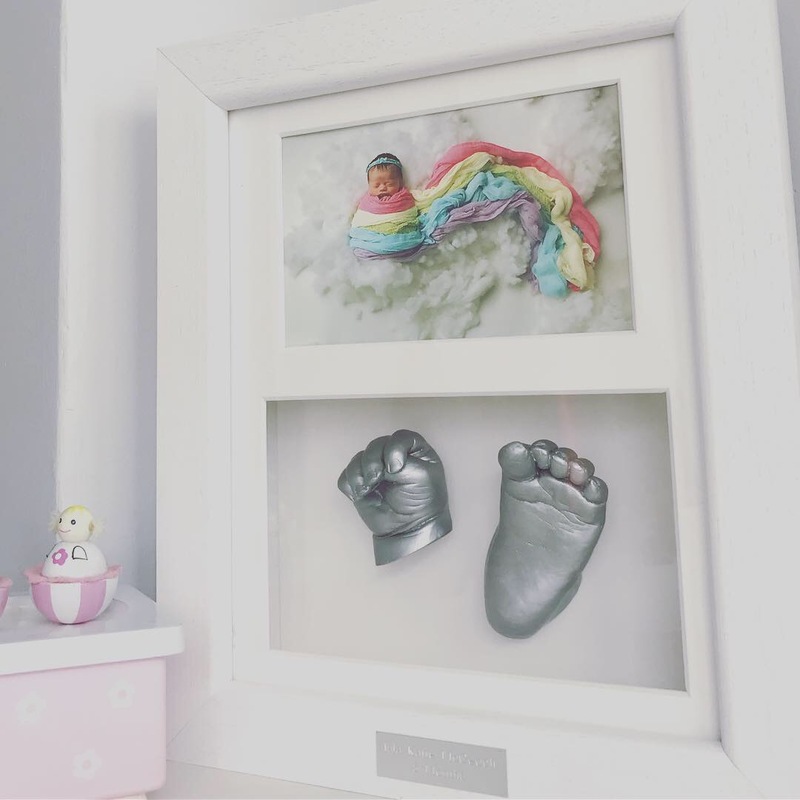 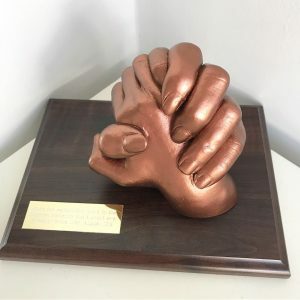 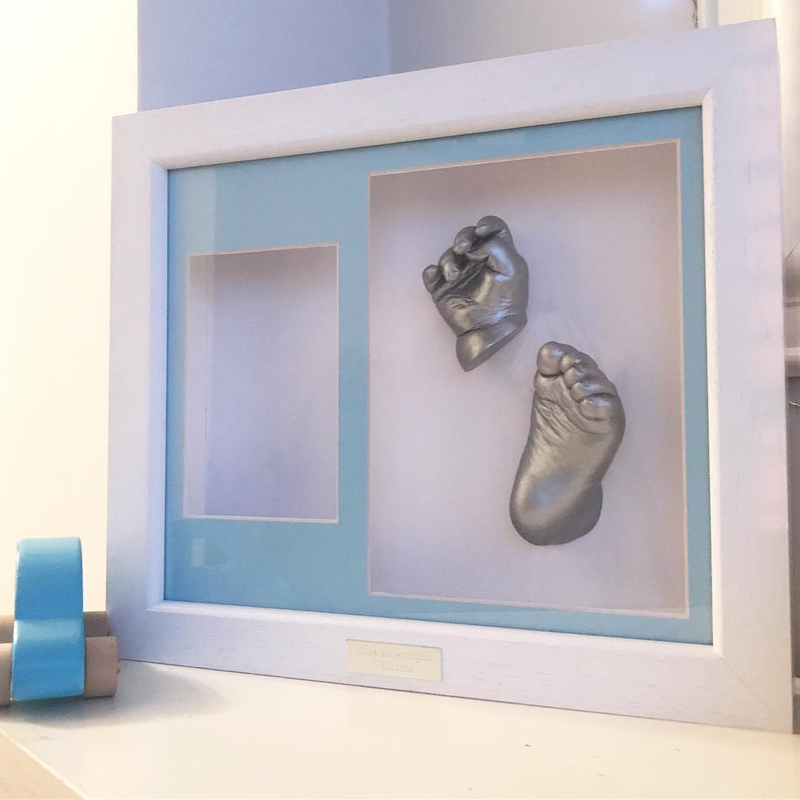 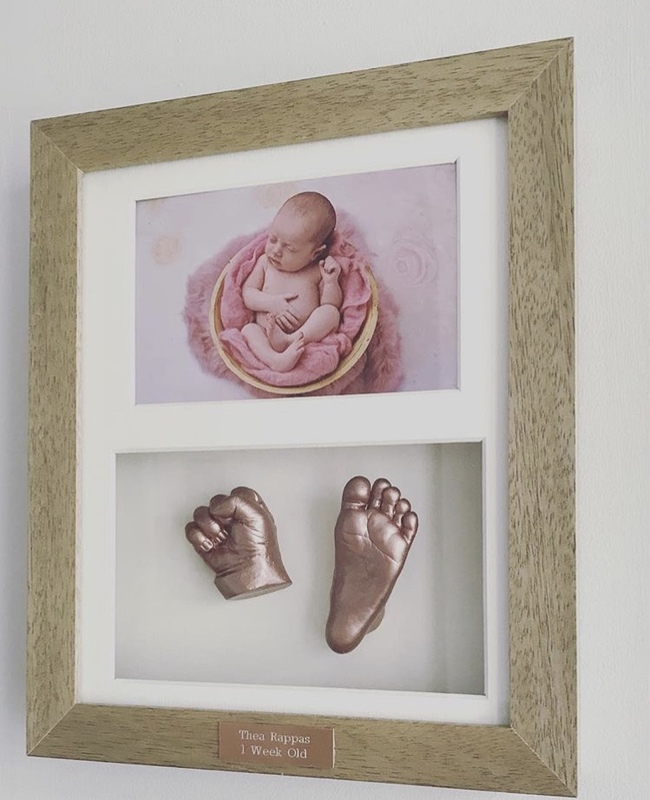 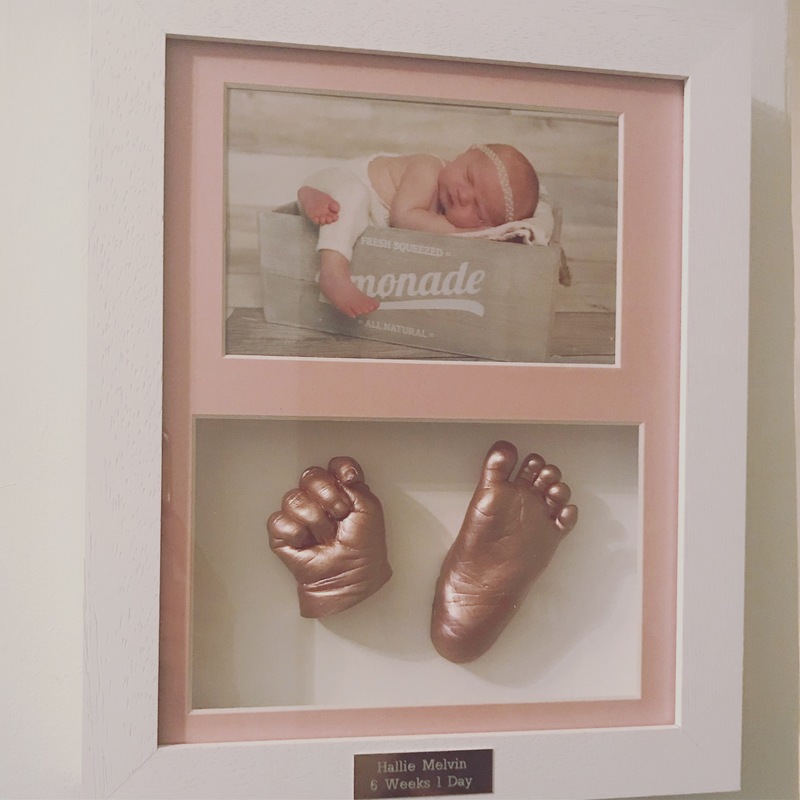 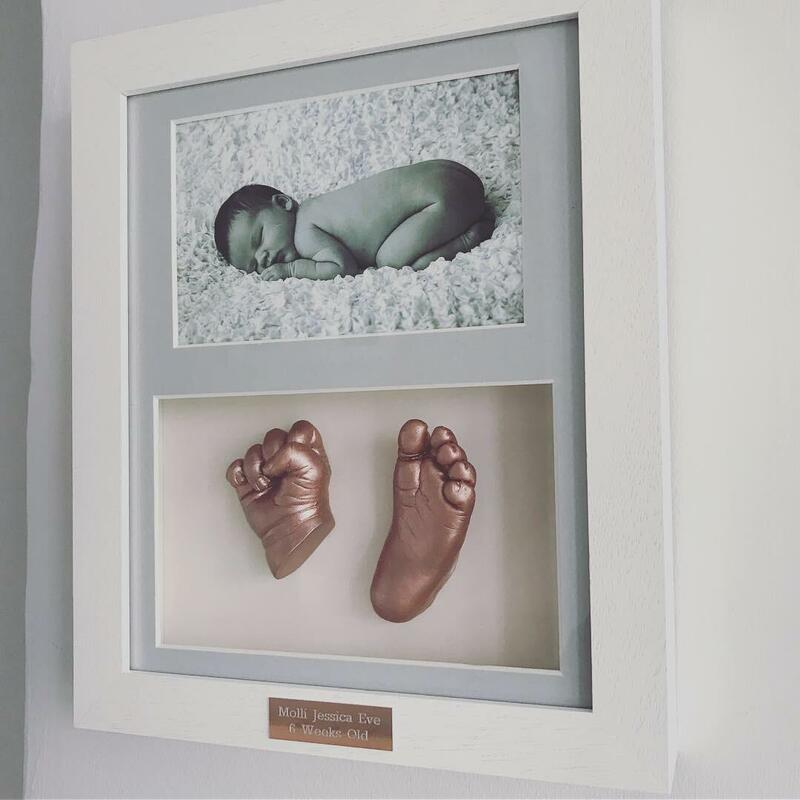 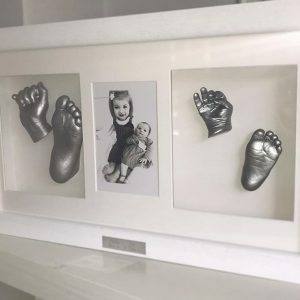 The perfect way to remember how tiny those hands and feet once were! 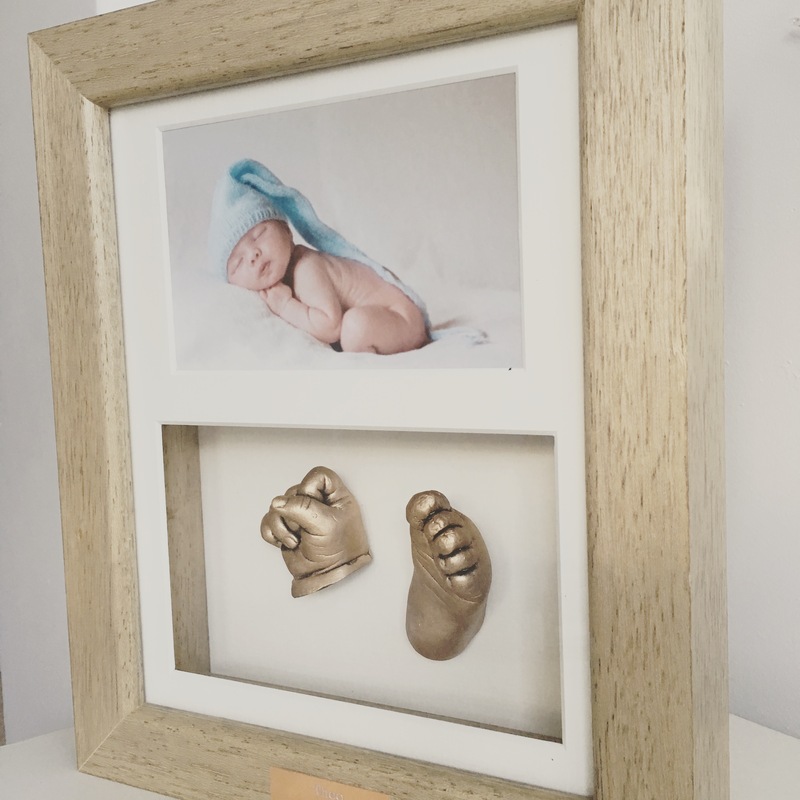 Our 3d castings have a modern feel so they will fit into the decor of your home beautifully. 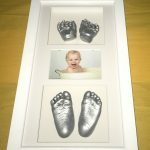 Prices from £40. 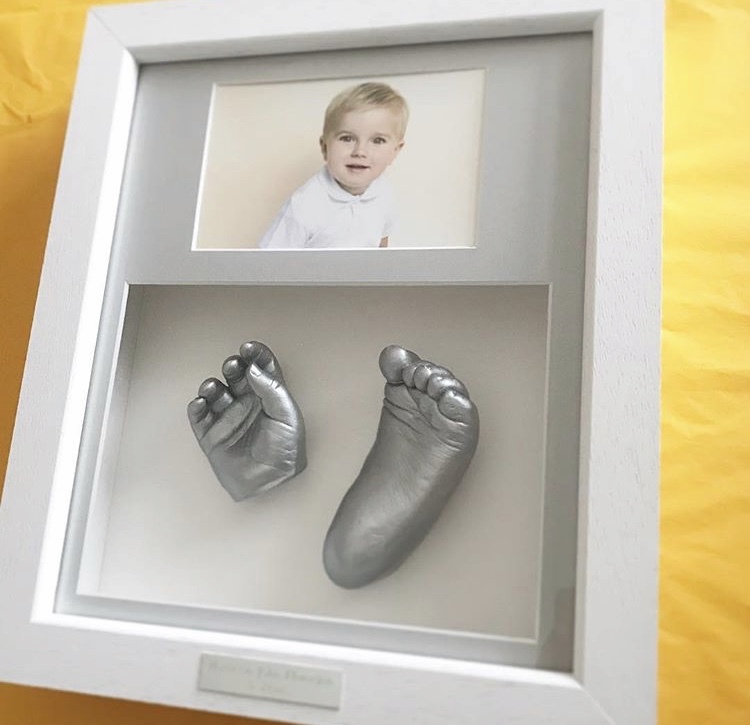 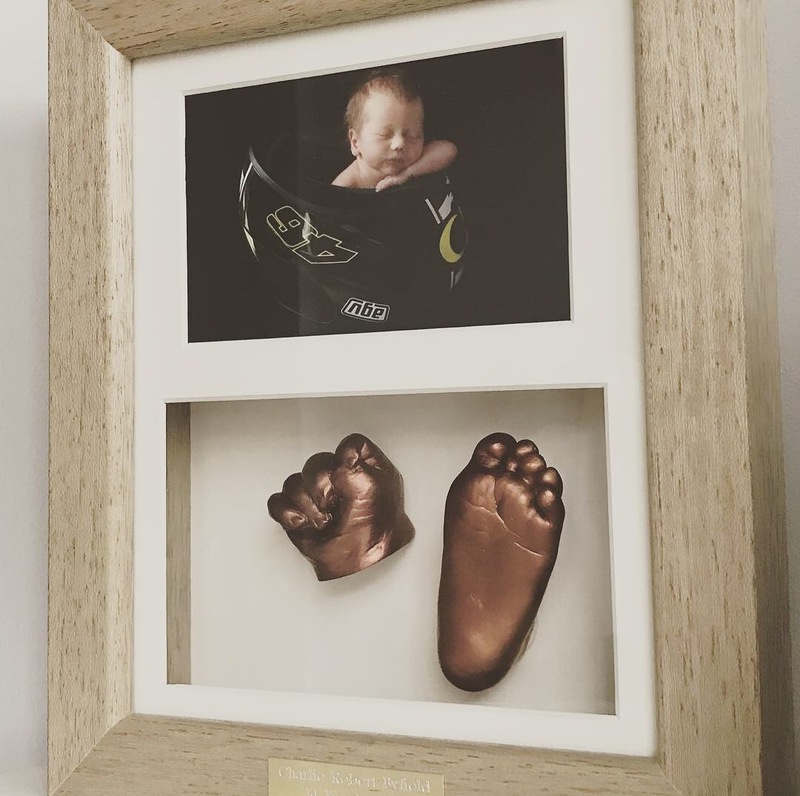 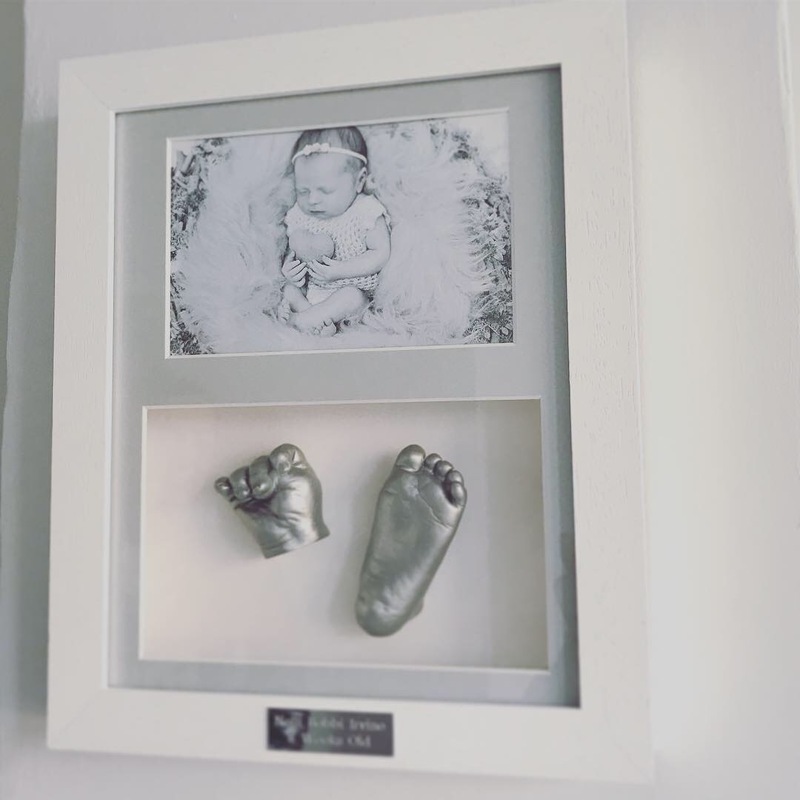 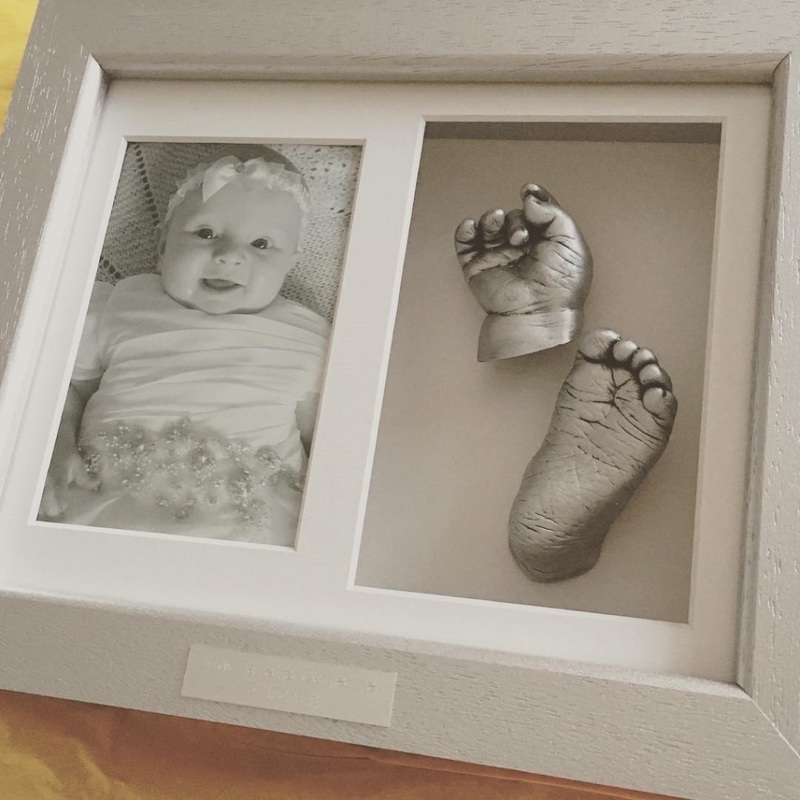 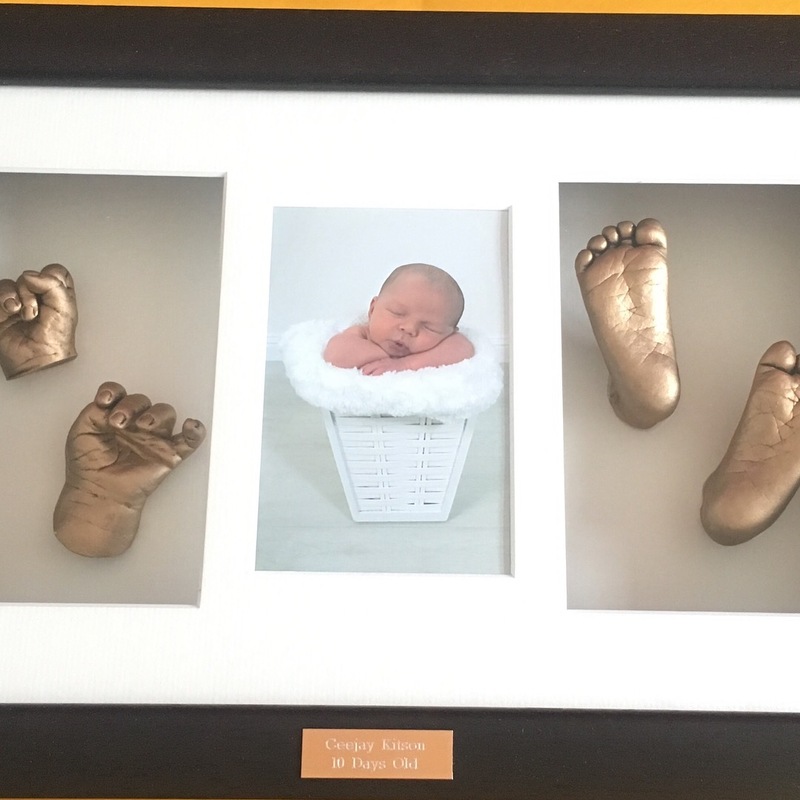 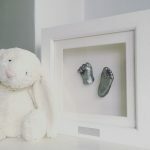 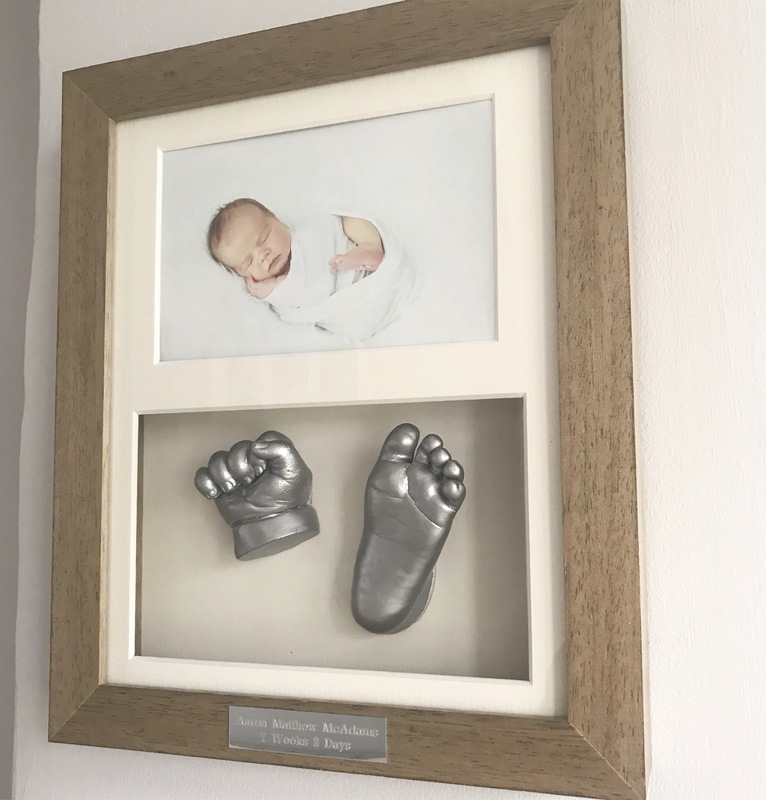 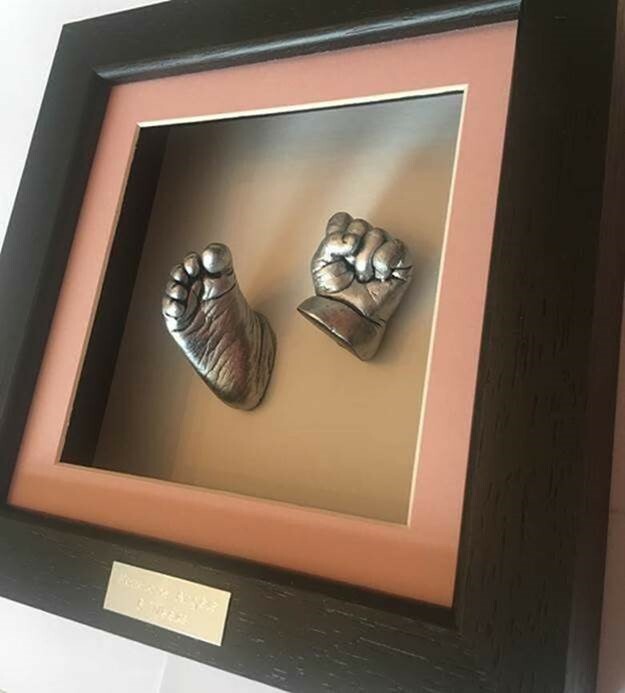 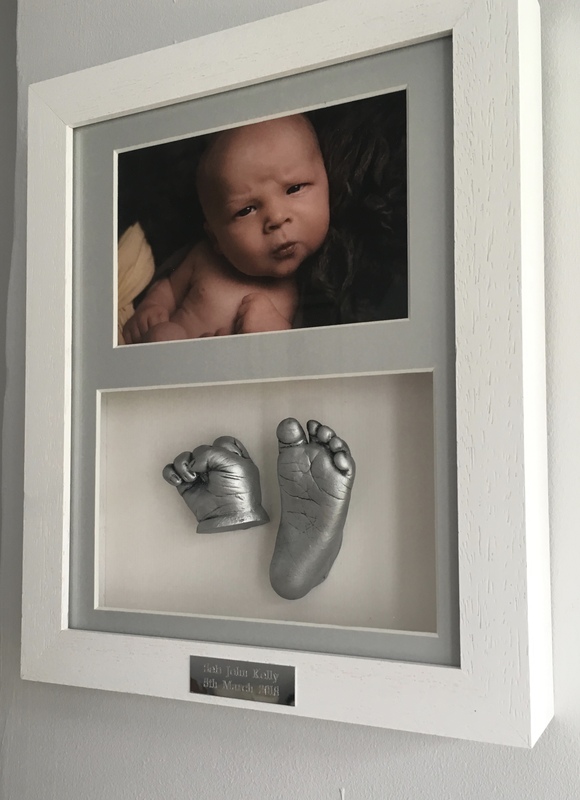 The process involves us meeting to take the mould of your baby’s hands or feet. 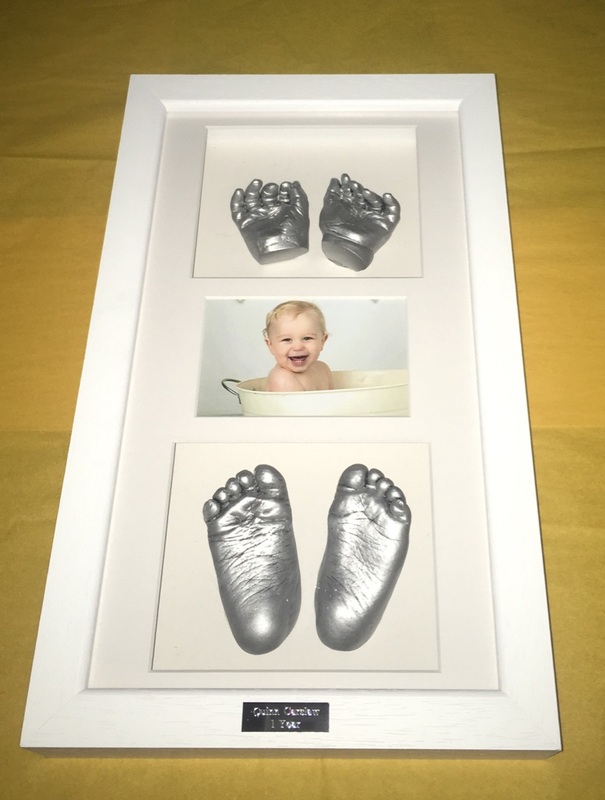 The material used is completely safe for baby’s skin and is used by dentists worldwide. The mould is then cast in fine plaster. 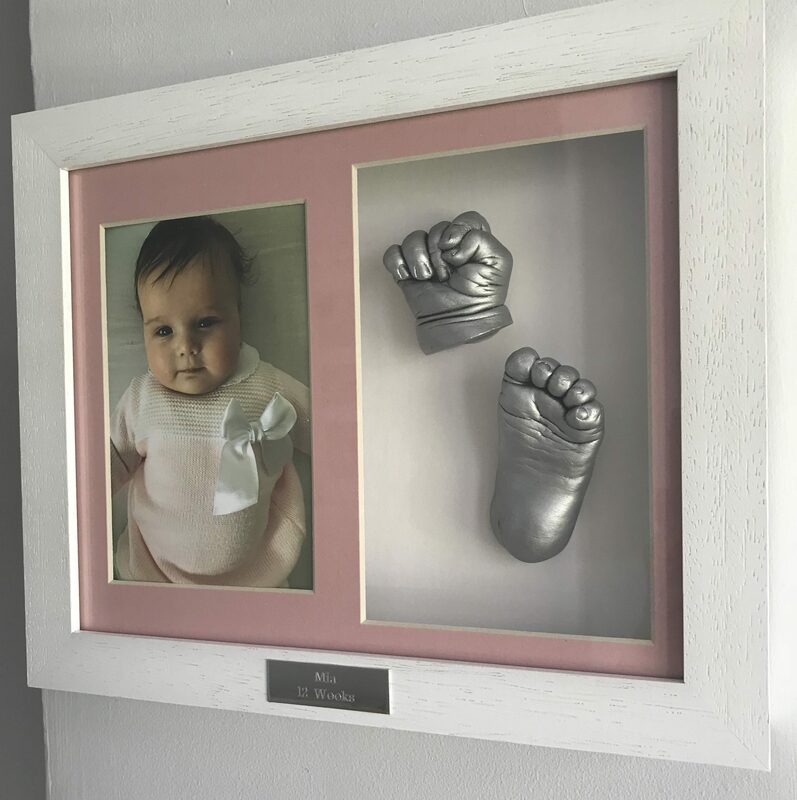 It is then finished in your choice of colours with or without frame. 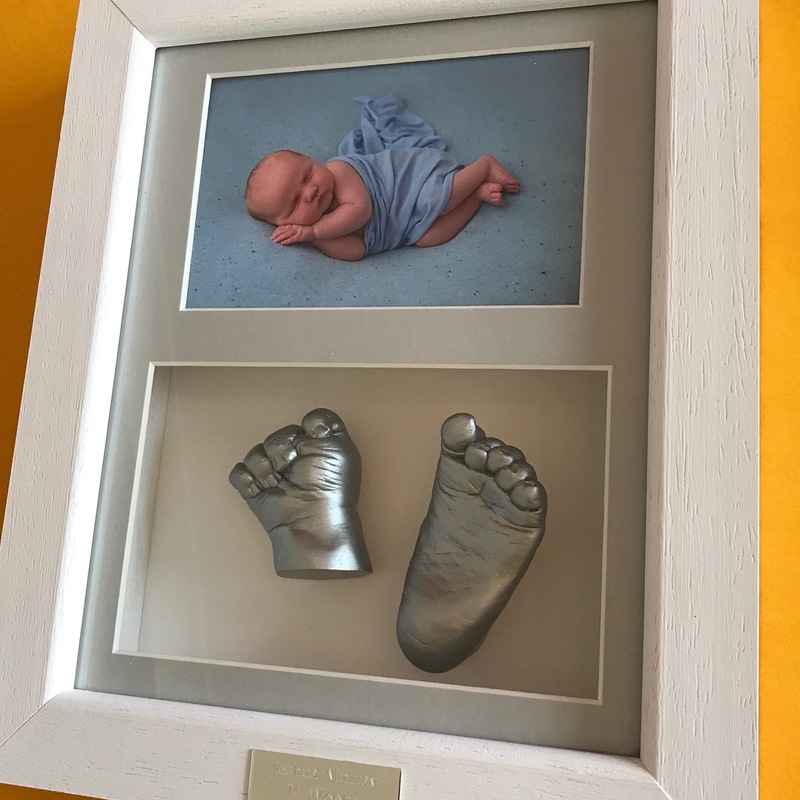 The options are endless, we can also take casts of siblings or the whole family! 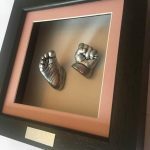 The finishes are rose gold, bronze, white, pearlescent white, silver, antique silver, gold or antique gold. 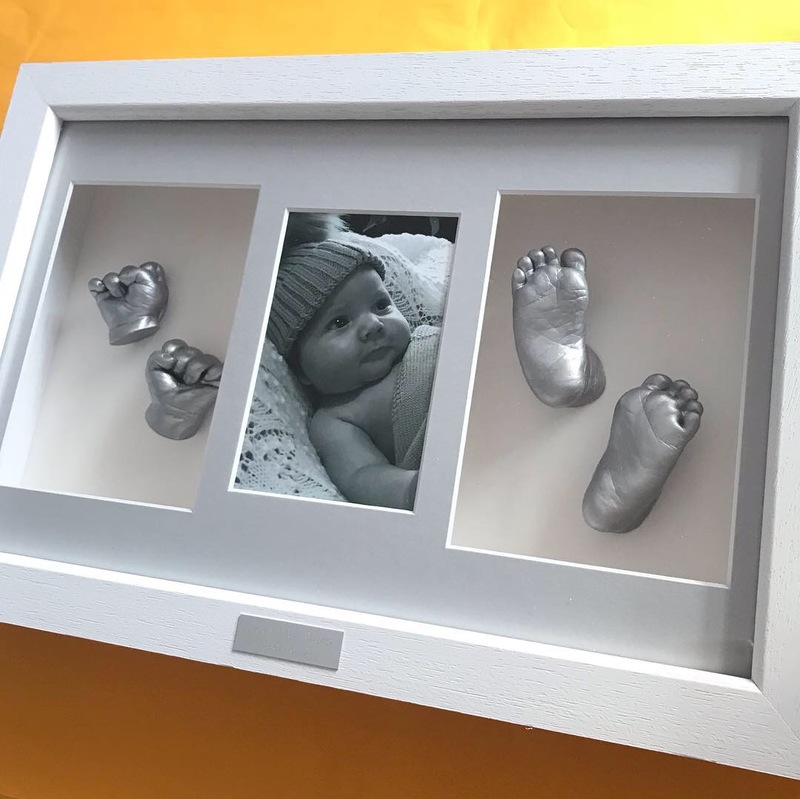 The frames are of the highest quality and come in white, black, chocolate brown, silver or oak. 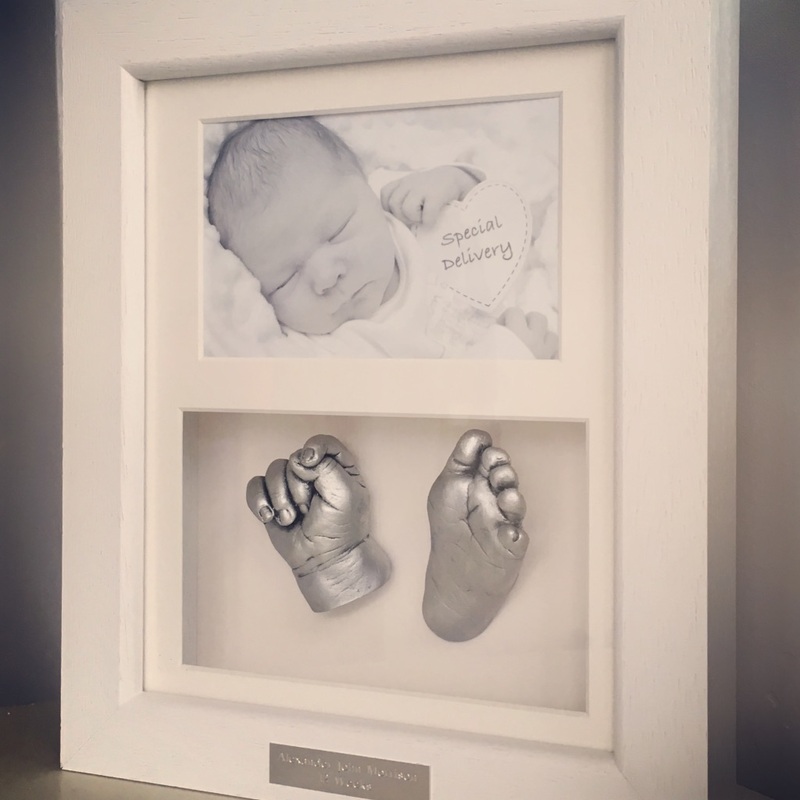 A typical appointment time for a hand and foot casting is around 1 hour. 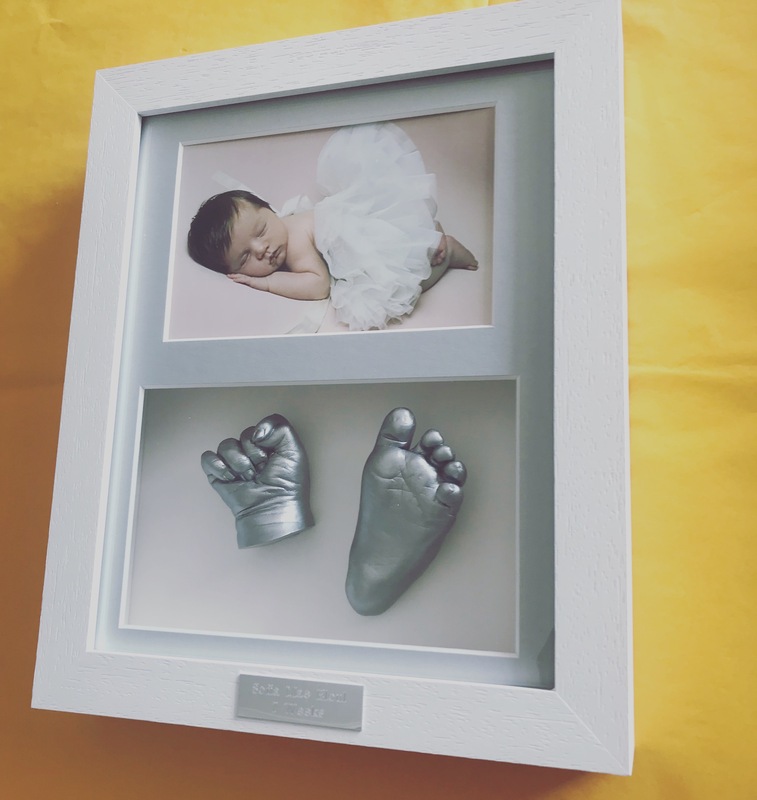 The taking of each mould usually only lasts around 2 minutes! 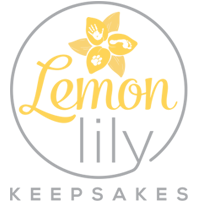 Lead time for the finished product is between 3-4 weeks.